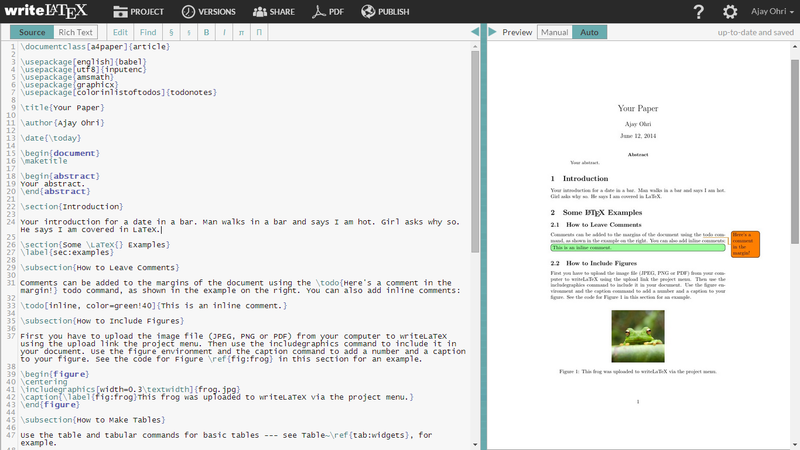 Sweave is a tool that allows to embed the R code for complete data analyses in latex documents. The purpose is to create dynamic reports, which can be updated automatically if data or analysis change. Instead of inserting a prefabricated graph or table into the report, the master document contains the R code necessary to obtain it. When run through R, all data analysis output (tables, graphs, etc.) 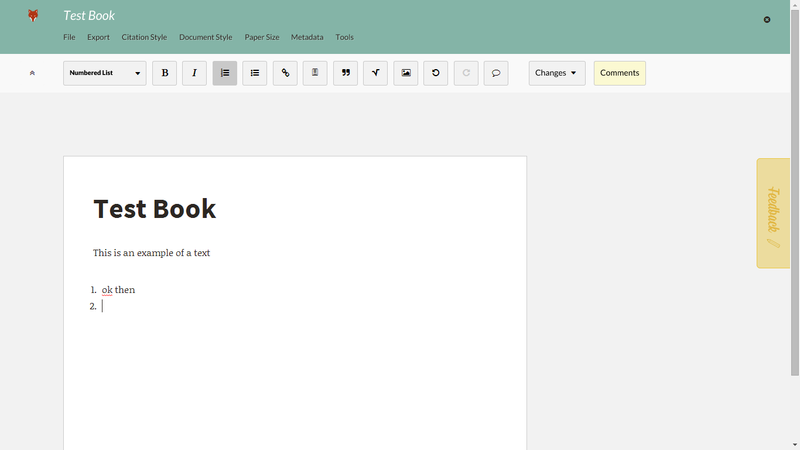 is created on the fly and inserted into a final latex document. The report can be automatically updated if data or analysis change, which allows for truly reproducible research. But alternatives to Lyx for a browser only version of Latex do exist. 2) http://fiduswriter.org/ Fidus Writer is an online collaborative editor especially made for academics who need to use citations and/or formulas. The editor focuses on the content rather than the layout, so that with the same text, you can later on publish it in multiple ways: On a website, as a printed book, or as an ebook. In each case, you can choose from a number of layouts that are adequate for the medium of choice. Both are available on Github for tinkering. 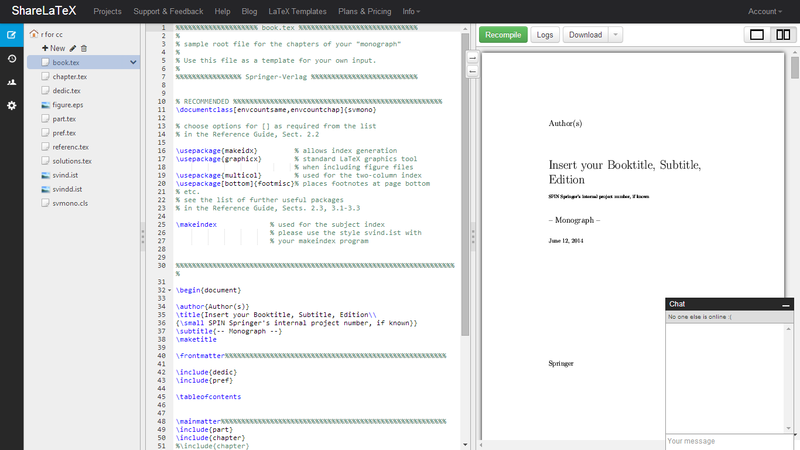 Maybe I will have to wait for Google Docs for creating an application for Latex typesetting. In the meantime, we shall Lyx.